uary 28 and then turn it over to Borah for production. You’ll still be able to order after the initial deadline passes, it will just take a while for them to be made. 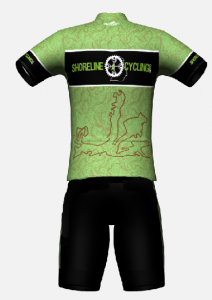 Jerseys will be shipped to Spindrift Cyclesports in Ludington. If you want to try on a jersey for size check with Dave at Spindrift, he has a good supply of all their styles and sizes. We’re going to go with the Team Cut and Club cut. Team fits pretty true to size from other jerseys and club is a tad roomier. ide all-day comfort,” he said. The bibs are pretty basic, so they can be worn with other stuff. 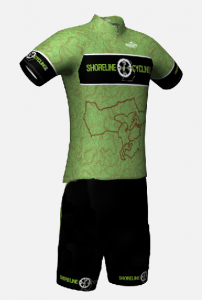 They’ll have the cycling club logo in the bottom band and some Borah branding on the left leg. You can order using the Paypal buttons and a credit card. The club will collect orders and money through 1-28-17 and place the order on the 29th. We added an option if women want shorts to match. They look like these.